Here it is, one of the coolest ‘Find The Object’ games for Android released by Kiwi Inc. I’am talking about Mystery Estate, a very entertaining quest on finding the objects on the screen in an attempt to protect magical artifacts against the Order of the Dragon. 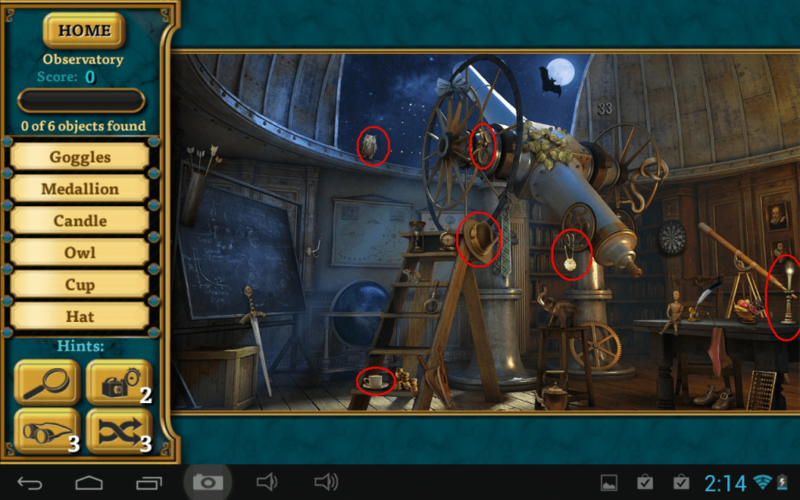 You can download Hidden Object: Mystery Estate from Google Play if you haven’t already and find it interesting. 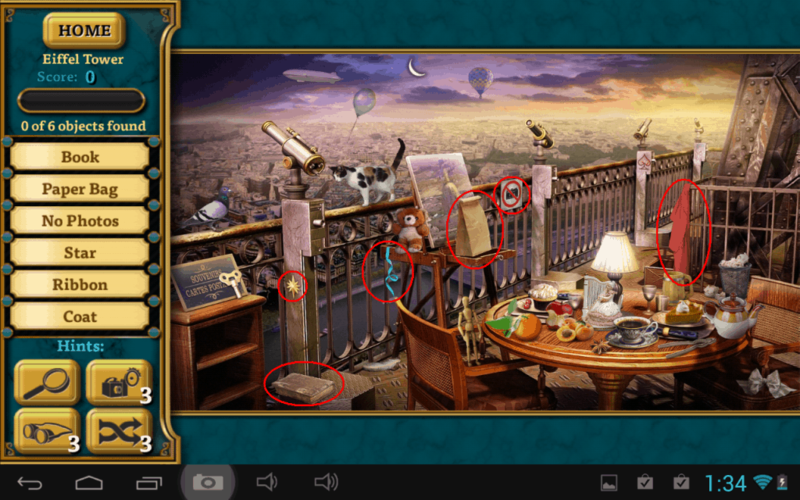 Your purpose if to complete the quests and find the missing objects so that you can enter the League, which is the number one team for protecting the artifacts. You will be challenged to build your prestige by building a luxurious estate and by completing the levels. 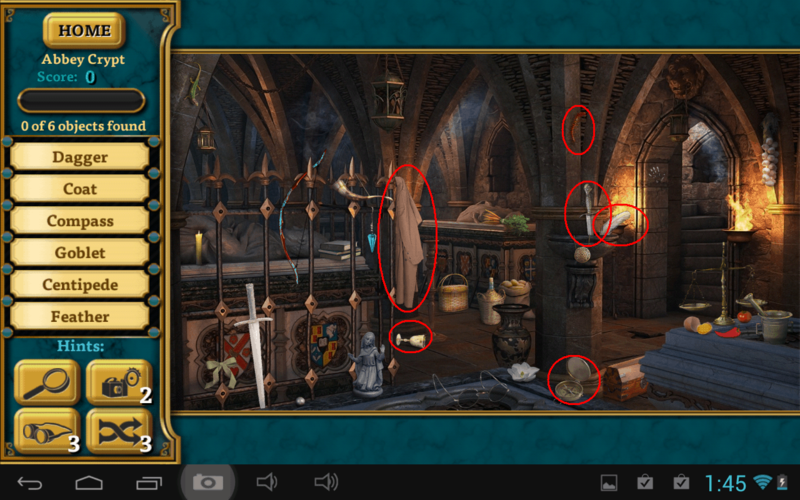 Tip 1: When selecting the objects in the scenes, if you identify all the objects first and then click on all of them immediately one after another you will get more points. Tip 2: In order to build prestige you have to build more buildings and decorations on your estate. This way you can unlock further scenes. 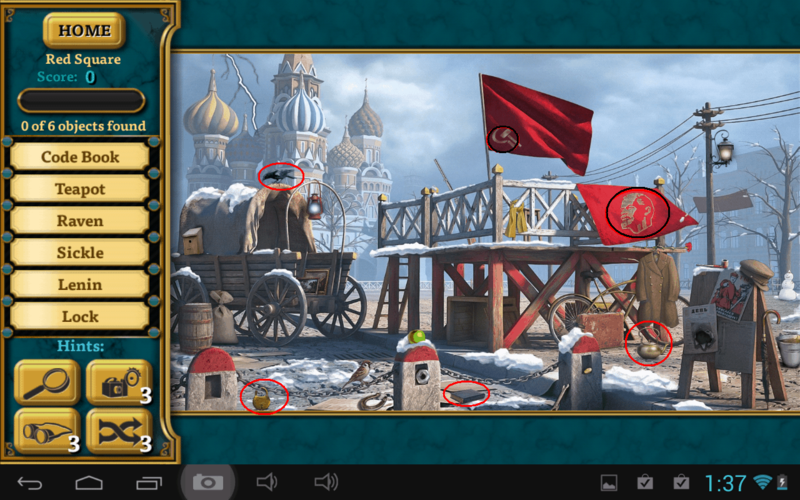 Tip 3: Try to finish the scenes as fast as possible to earn higher rewards. Tip 4: Don’t forget to click on the star when the building construction time is over to earn the prestige points. Tip 5: Decorations have 0 construction time, so if you only need a few prestige points to open a new scene it’s better to use them instead of buildings. Tip 6: You can earn a lot of silver for free by completing some of the tasks such as installing another app that you can easily delete afterwards. Tip 7: When get out of space to place buildings and decorations, use the expand feature, but make sure you take advatage of the space you have because it will cost you a lot of silver. You can use the guide below if you want to obtain a higher score. 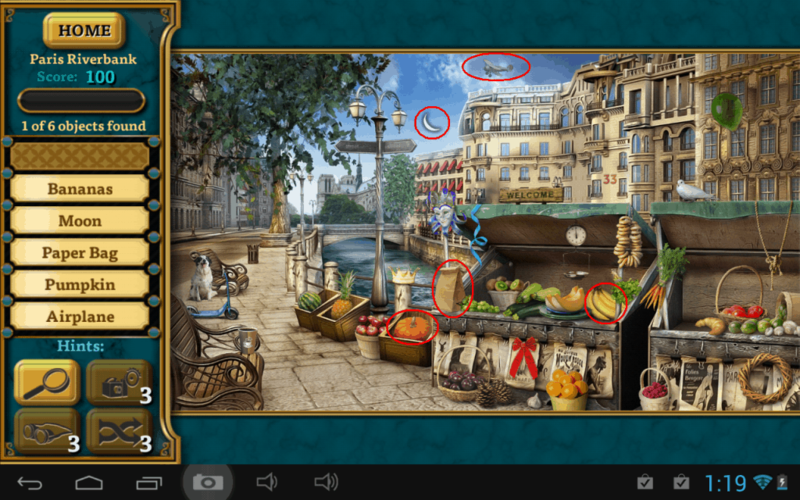 We have circled the objects on each scene so that you can click on the faster and get more points. We will come back with the guide for Chapter 2 of Hidden Object: Mystery Estate when it’s finished. Until then if there is something you want to know or you want to share with us, please be my guest and use the comment section below.